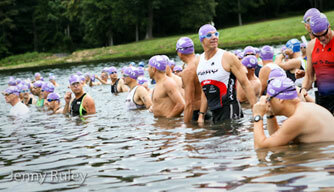 The Official Luray Triathlon Open Water Swim and Transition Clinic! See Below for more details. Personalized swim stroke analysis with video taken of your swim stroke! See Below for more details. 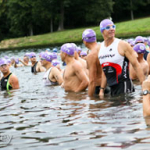 Geared toward triathletes of all levels, the Official Luray Triathlon Open Water Swim and Transition Clinic, located at the race venue, is designed to help you prepare for the Luray International and Sprint Triathlons as well as other short course triathlons with open water swims. Presented by, Race Director Ken Racine and Professional Triathlete John Kenny, will be there to talk briefly about open water swimming and give tips for success. Most of all the practice is an opportunity for YOU as the athlete to get in open water in a safe, lifeguarded, stress free, non-competitive environment that will bolster your confidence come race morning. The course will be marked with buoys and you are welcome to swim multiple laps of the course within the allotted time frame. Please note that this is not an individual stroke clinic but you can register for optional stroke clinic later that afternoon. * Because this is a USA Triathlon sanctioned event, there is a +$12 fee if you are not a USAT member for USAT 1-day license. For those looking for personalized swim stroke analysis, John Kenny will be providing a professional stroke analysis with video taken of your swim stroke. This portion of the clinic is optional and is offered in the afternoon. Details below. Purpose: The Video Stroke Analysis Clinic will provide visual aid and feedback to help swimmers and triathletes improve upon their swim technique. Seeing stroke flaws on video is a great way to understand stroke mechanics and how to swim faster and more efficiently. Approach: Each participant will be filmed from multiple angles underwater and above water. Participants can expect both time in the water and time viewing video with John Kenny on deck. Each athlete will receive a copy of their video, along with verbal and written feedback to take home. One swim stroke will be analyzed per time slot. Coach: John Kenny, Professional Triathlete and a USAT certified coach. Competed in the 2014 Luray Triathlon Double and will be returning in 2015. Visit his Bio. Times: Participants will select a time between the hours of 1:00pm and 5:00pm. Cost: $50 per person in addition to the Open Water Swim Clinic (No Additional Registration Fee).